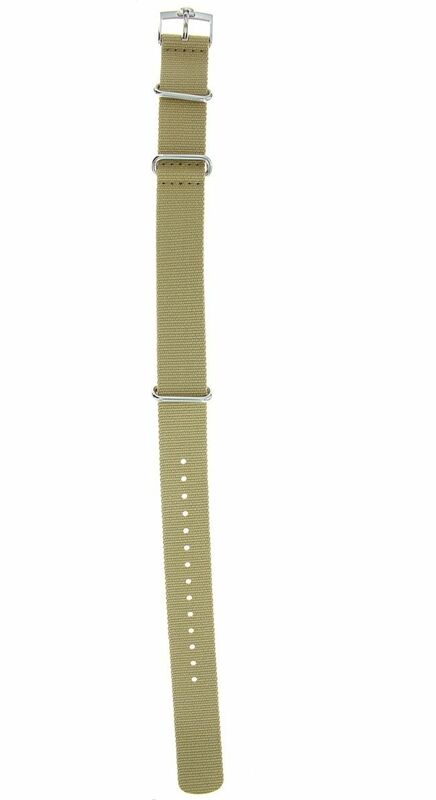 The NATO strap has its roots in military use. Recently, these straps hugely gained in popularity fueled by the collectors community. 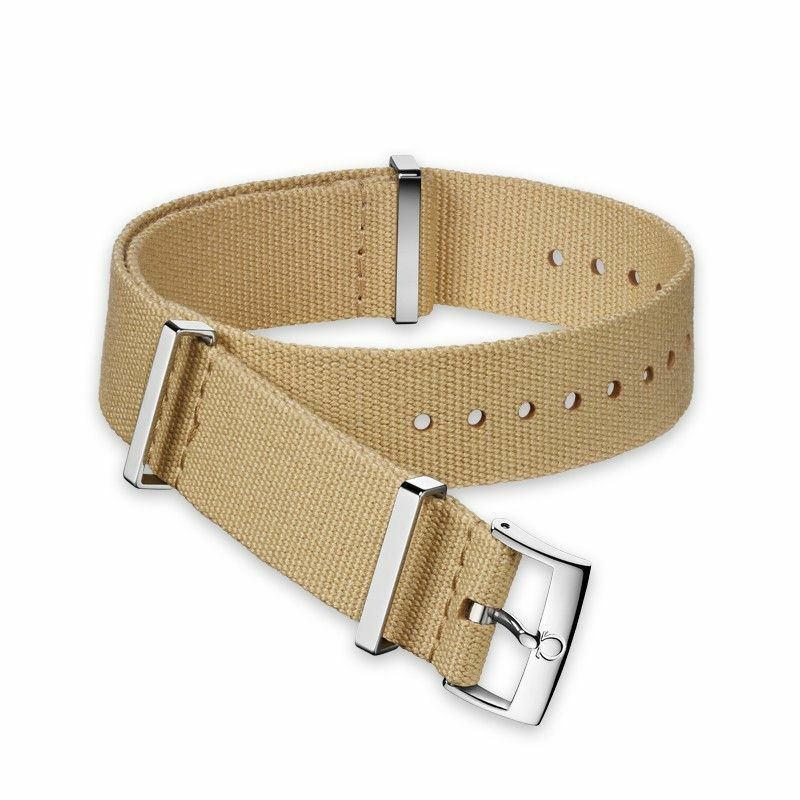 This beige strap is made of textile that offers good tensile strength as well as resistance to abrasion. It features a polished stainless steel buckle and keepers.The stainless steel buckle on the “NATO” straps are positioned for improved wearer comfort and the straps themselves are made of particularly high quality materials. This strap is identical to the one found on the Omega 1957 Trilogy Set but measures 22mm instead of 19mm.